With this glorious weather hitting us in spades, now marks the perfect time to throw everything into a weekend bag and head outdoors for a night or two. But let’s face it, camping isn’t for everyone. 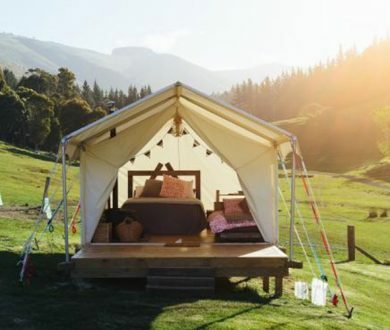 For those who are wanting to get a taste of the outdoors while still having full protection from the elements and access to a comfortable bed and flushing toilet, glamping is the perfect fall-back. 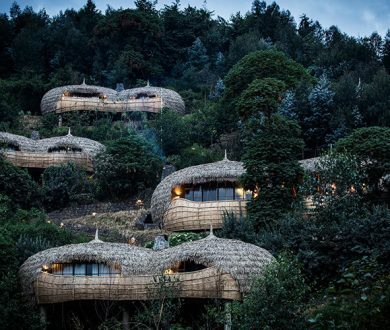 If you’re after something a little more ‘tenthouse suite’ and less ‘haphazard bivouac’, there’s an array of glamping abodes up and down the country will serve as everything you could want and more. 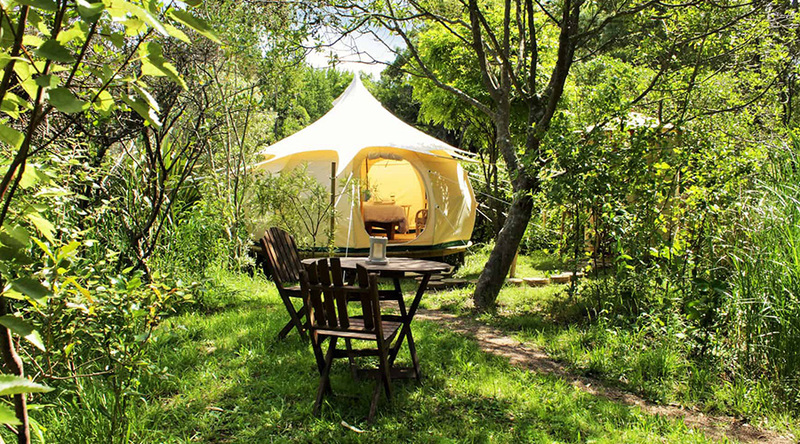 Just ten minutes from Raglan stands a The Round Tent, a Mongolian style yurt which uses distinctively luxe furnishings to create a superbly relaxing and unique abode. You can kick back by the willow-lined pond and revel in the scenery by day, while the on-site fire-pit creates a wonderful place to while away the evenings. 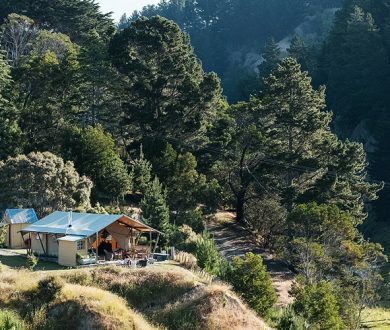 This off-the-grid timber home boasts intermittent phone service, meaning more time immersed in the outdoors and less time scrolling through Instagram. Enjoy the sweeping ocean vistas by day, while at night, you can witness a sky like no other thanks to minimal light pollution. 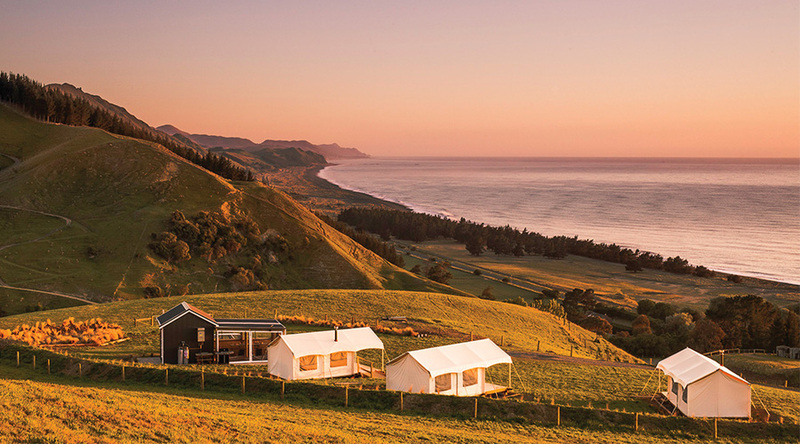 Serving up picturesque views of the Maraetotara river, dense forests and rolling green countryside, Clifton Glamping is Hawke’s Bay’s glorious hidden gem that is worth seeking out. Beautifully decorated tents comprise a semi-outdoor kitchen, while the glamping site itself offers outdoor showers and bathtubs for a serene experience to remember. 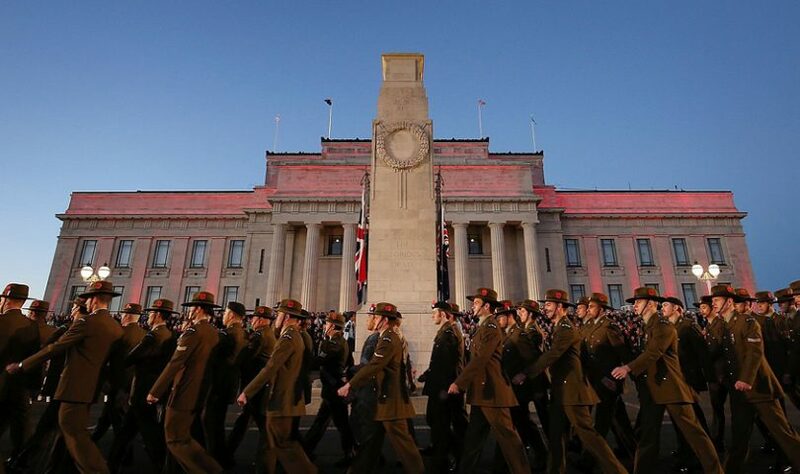 Situated just 40 minutes north of Kaikoura lies the Kekerengu, set smack bang in the middle of Ngaio Downs sheep and beef farm. Three, large, luxury tents create the perfect spot for a group getaway, while the positioning — they all look out towards the rolling ocean — ensures that any guests are served up a supreme sunrise experience. 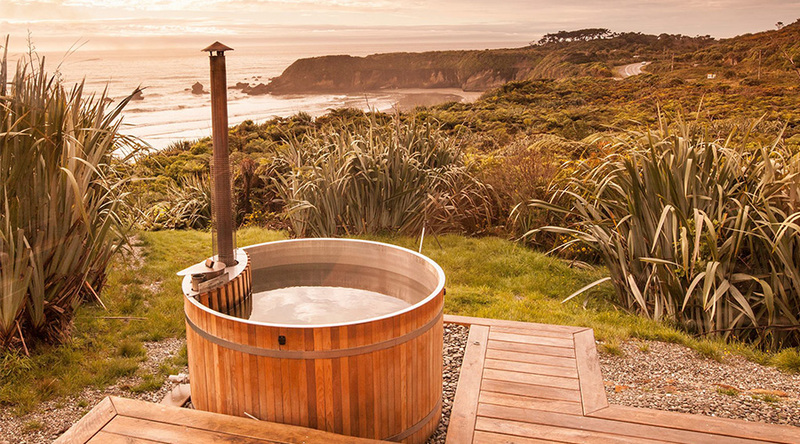 Just a stone’s throw away from Auckland, Waiheke’s Fossil Bay Lodge is ideal for a last-minute weekend getaway. 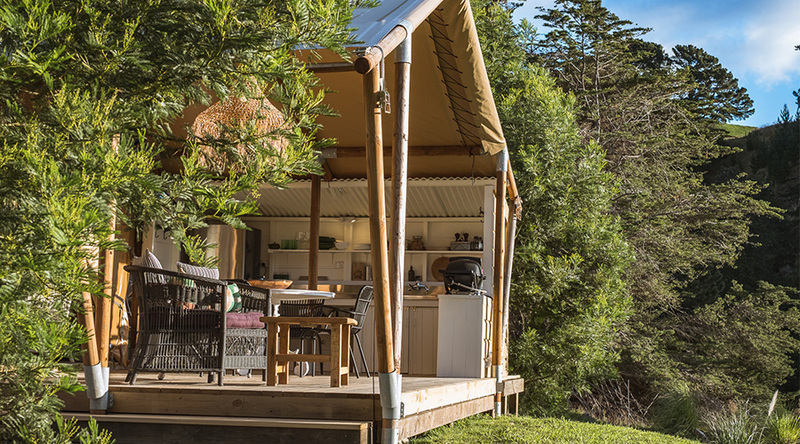 The romantically quaint lodge offers an array of lotus belle boutique tents, all decked out with carpet, plush queen beds and private bathrooms.